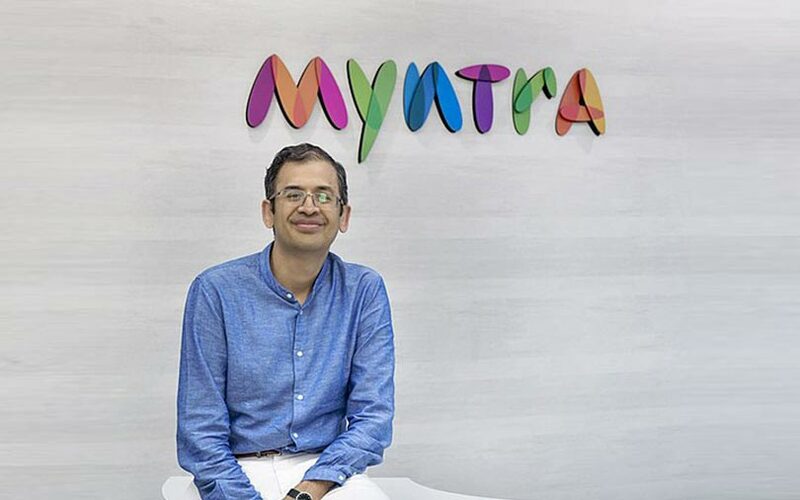 Myntra CEO Ananth Narayanan will continue heading the fashion e-tailer while sister company Jabong will keep operating as a separate brand, although the two Flipkart units will merge all their functions and possibly lay off a large number of employees. A Myntra spokesperson said in an email to TechCircle on Friday that, since its purchase of Jabong in mid-2016, the two brands have been steadily integrating key business functions and streamlining processes to boost revenue growth. "As the next step in this process, Myntra and Jabong will now fully integrate all the remaining functions including technology, marketing, category, revenue, finance and creative teams," the spokesperson said, without saying how many employees will be affected. Myntra team will continue to operate independently and Narayanan will keep leading the team, the spokesperson said. The Jabong brand will also remain operational. The statement comes after media reports that Myntra and Jabong could see top-level exits and staff layoffs as US parent Walmart Inc. focuses on restructuring the two fashion arms after Binny Bansal’s departure as Flipkart's group CEO. Some media publications had also said that Narayanan was likely to step down after he was told to report into Flipkart CEO Kalyan Krishnamurthy and that Myntra could be merged with Flipkart's fashion vertical. The latest developments come on the heels of Flipkart co-founder Binny Bansal’s abrupt resignation as group chief executive officer on Tuesday following an independent probe into allegations of “serious personal misconduct”. Bansal has denied the allegations. Walmart’s acquisition of Flipkart was closed in August. The retailer had announced its decision to buy 77% of the company for $16 billion in May. Meanwhile, several people in the know told TechCircle that Walmart is undertaking a big round of layoffs at Jabong. About 200 of Jabong’s 700 employees have been asked to leave the company, the people said on the condition of anonymity. Most affected employees are from Jabong's Gurugram office and belong to the ‘category’ division at the fashion e-commerce firm. Walmart is also closely analysing the performance of a number of Myntra’s ambitious projects like experience store and private labels, said one of the aforementioned people. It could not be immediately ascertained if any Myntra employees are affected by the layoffs. Flipkart acquired Myntra in 2014. Myntra had acquired Jabong from Rocket Internet-backed Global Fashion Group for $70 million (Rs 470 crore then) in an all-cash deal In July 2016. The Myntra spokesperson also said a closer integration of the two fashion platforms was necessary for its development. “To remain the leader in fashion e-commerce in India, we have to find ways to operate more effectively and innovate more quickly. By better aligning our resources with our long-term plans, we can put the best structure in place to serve our sellers and brand partners and ultimately benefit our customers,” the company said. According to one of the persons mentioned above, a team of top executives from Bengaluru had travelled to Jabong’s Gurugram office to oversee the layoffs. Most of Jabong’s category and marketing teams sit out of Gurugram while its tech team occupies a floor in the Myntra building in Bengaluru. Jabong and Myntra had been battling an exodus of top-level executives for some time now. Most recently in October, Myntra chief marketing officer and head of Jabong Gunjan Soni and Myntra strategy officer and head of categories Ananya Tripathi announced their decision to move on from the company by the end of this year. In June, Muralikrishnan B, a senior vice-president at Myntra, quit the fashion e-tailer. The exit of Muralikrishnan, who was chief operating officer at Jabong, came almost four months after Myntra’s product and revenue heads resigned. The first round of process integration between Myntra and Jabong was announced in March 2017 when the company said it will share the same logistics infrastructure by bringing together their back end and supply chain functions. In September 2016, VCCircle reported that Myntra had moved the research and development team of Jabong in Bengaluru to its own facility, less than two months after the acquisition. In January last year, Myntra shut its two offices in Gurugram and moved to Jabong’s premises in the same city. However, Myntra’s headquarters remain in Bengaluru. Myntra, which is perceived as the market leader in fashion and lifestyle e-commerce, had posted an 87% rise in revenue for 2016-17, but its net worth eroded as debt levels soared. For 2016-17, revenue stood at Rs 2,000 crore ($314 million). About 94% of its revenue came from the trading business, while the rest was from data processing and other activities.